DRAWING TONIGHT! 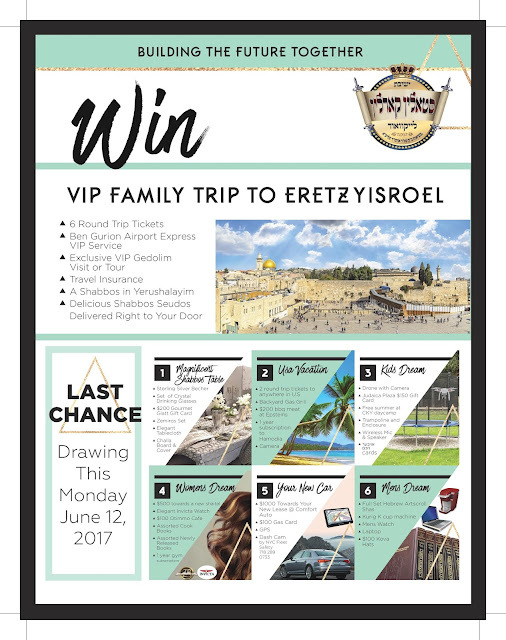 Win VIP Israel Family Trip! WIN VIP ISRAEL FAMILY TRIP! Win a VIP family trip for 6 to Israel, starting at $36! Trip includes airfare for 6, VIP Airport Service, VIP Shabbos In Jerusalem, and Exclusive VIP Gedolim Tour.